This Generac automatic transfer switch is designed to operate with air-cooled generators. This transfer switch has an intergrated load center to allow for essential circuit backup. It is especailly useful where the main service is large, and only a portion of the building will be served by the generator, or when the main electrical breaker panel is located outdoors. It comes standard with a 16 space breaker panel that can be populated with the appropriate sized breakers needed for any application. it is UL/CUL listed and suitable for use in optional standby systems (NEC702). This switch is listed for use with Siemens, Eaton, or Square D one inch breakers. The bottom four breaker spaces will accomodate tandem breakers making the panel expandable to 24 circuits. 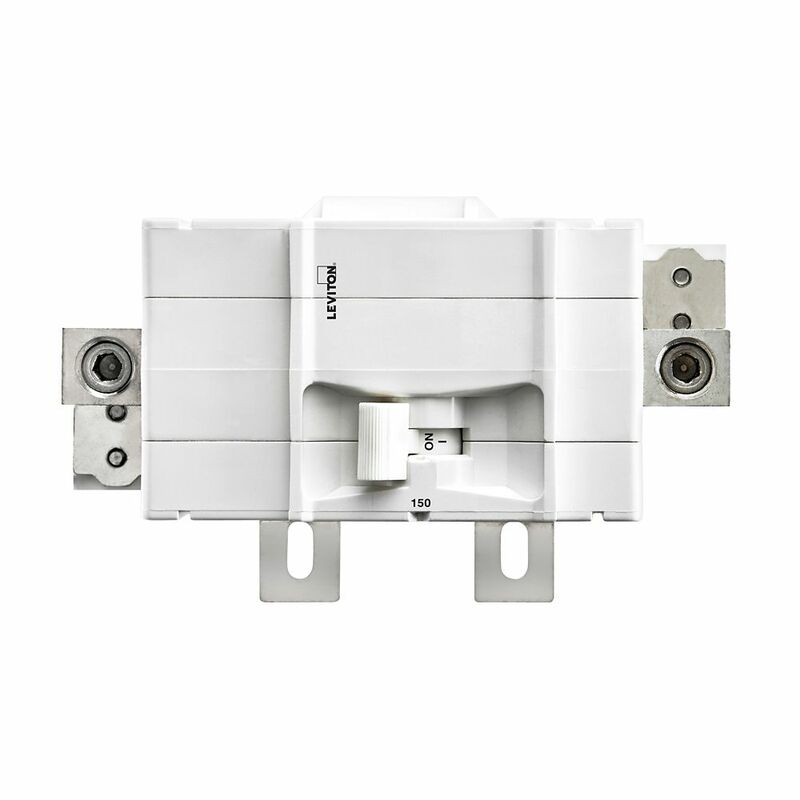 2-Pole 150A 120/240V Plug-on Main Circuit Breaker Leviton Circuit Breakers provide overload and short-circuit protection and feature an all plug-on design. All hot and neutral wires terminate at custom lugs in the panel, not at the circuit breaker*, so the entire panel can be wired at rough-in without circuit breakers installed. Leaving the option of having the circuit breakers easily plugged-on at final installation. They also feature colour indicators in the handle to easily see operational status at-a-glance.